Now at the official Webroot Store. The kind people at Webroot’s marketing department gave us a special deal to share with all Software Voucher visitors – Save a cool $50.00 on Internet Security Complete 2015 or 50% on the Plus and Antivirus versions. Best of all you don’t need to worry about copying any physical coupon codes as this deal is automatically activated when you follow the above link. Once at webroot.com, just select the version that you would like to order and that’s it – You just saved on your software order! The sale price will be reflected in your cart (it will be priced at $29.99 before any applicable taxes or shipping charges). This version normally retails for $79.99 and gives you protection for up to three computers. This offer is scheduled to end on April 15, 2019. From all the Webroot resellers, we consistently find the lowest sale price at Amazon. Even though prices tend to change every few days or so, you should be able to get a copy of SecureAnywhere Internet Security Complete for around $54.00 or so (that’s about a 33% savings). You can also choose form either the boxed or digital version (the digital versions can be instantly downloaded after checkout). If you choose the boxed version, then most orders will also qualify for free shipping. Sale prices and versions available can vary. If you’re an existing Webroot customer who’s looking to renew your membership then we recommend that you first check Webroot’s upgrade center to see what how much you can save with the loyalty discount. The pricing offered to you will vary depending on the version that you’re currently running and how for long you’ve been one their customers. Be prepared to provide your existing product key to be able to see the specific pricing that’s tailored just for you. Others have reported discounts anywhere from 30% to 50% off the list price. Must be a qualifying customer. Find it at your Best Buy store. If you just want to pick up a copy of Webroot internet security software at your local Best Buy, Staples, etc., then be prepared to fight for a good deal. 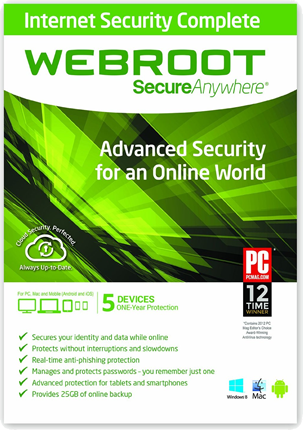 Most local stores that carry Webroot software in stock have it priced pretty high at near or the retail price. However, lots of stores nowadays have a written price-match policy in place and will adjust their sale price if you can show them that you can get a better deal elsewhere. Best of all many stores will also price match to online resellers. Certain restrictions apply and the policies will vary from store to store so we recommend just talking to the store associate for full details. Price matching is often limited to one item per customer. Try Webroot 2015 for Free. 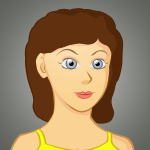 Are you confused and not sure which internet security program to pick? Well, we don’t blame you as there are about a dozen well-known programs to choose from that will give you many of the same computer protection features. So we encourage you to take the time and try out the program for yourself. Just like most other PC security companies, Webroot gives you a full month to try out their software. Just go on over to their download center and choose the program that you would like to try fro free. What’s the catch? This offer is only available to new customers that have never tried the software before. Webroot 2016 Release Date Alerts! Signup to our release date notifier list and we will let you know the moment Webroot Internet Security 2016 is announced and on sale! Learn more about the 2016 versions of Webroot. We are getting closer to the all new updated 2016 versions of Webroot. Come see what we’re expecting to be improved in this release, how to sign up to the beta, and what others are saying about the upcoming product launch. We are watching all of the other Internet Security software deals!